It is never easy to choose. It becomes even more difficult if one is unsure how well your choice will work out. It becomes easier if the store you are buying from has a return’s policy. Even the Hindu Marriage Act permits divorce in case of irreconcilable differences or incompatibility. Why then should a voter be stuck with a representative who is just goofing-off for five long years? India does not give voters the right to recall their representative to the glorious state of being an aam admi, if she does not perform as expected or fails to pursue promises made in the heat of the electoral battle. Retribution is possible only after five long years. The result is irresponsible promises made by candidates at election time and every conceivable excuse being trotted out over the next five years why they couldn’t be kept. Imagine how this would change if elected representatives could be recalled by dissatisfied voters. Other than the 30 million workforce “aristocracy” employed in the formal sector (public and private), who enjoy security of tenure and termination benefits, the rest of the Indian workforce (370 million) labours in casual jobs, short term contracts or is self-employed. They live with the constant threat of dismissal or loss of employment. Why should the Damocles Sword of recall not also hang over the heads of politicians? Recall powers are available to voters in the US, Switzerland, Venezuela and Canada. Some experts argue that even where such powers are available, they are rarely exercised, so why bother? This is short sighted. As any negotiator knows, the threat of possible retribution is far more effective than the action itself. A recall provision has multiple advantages. 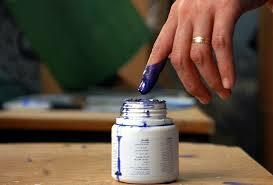 It reduces the risk for voters to experiment with untested candidates and thereby enhanced political contestability. It can also reduce the use of money power and make politicians more accountable. Today few Muslims, outside Gujarat, would vote for Modi. It is not his economic policy that puts them off. Nor do they doubt his executive ability. Their main fear is of potential social instability, sectarian strife and possible subversion of India’s secular credentials, if Modi becomes PM. “Proof of concept” is a standard instrument in contract negotiations which reduces risk and facilitates efficient contracting. What if Muslims had the option to give Modi a chance and yet retain the power to withdraw support in case they find him wanting? Is it not reasonable to assume that many would vote with their head rather than their heart? That they would be more reassured of choosing freely, without the fog of fear so prevalent today. Conversely, the traditional supporters of the Congress (the poor, dalits and the urban liberal) would still be with the party if they had the option of keeping Rahul (an untested product) on probation. Kejriwal and his team would also have done better outside Delhi with a probation period. Reducing the risk and uncertainty always results in enabling customers to make more informed choices, based on performance on-the-job rather than just go for the familiar. A recall referendum can also reduce the use of money power in elections. Today candidates spend Rs 100 million on an MP election because they have an assured revenue stream of Rs 250 million from just the MPLADs program over five years. Even if 40% of this amount leaks (as against leakage of 75% in rural development programs once conjectured by Rajiv Gandhi), this ensures recovery of the capital invested at the time of elections. If a recall provision is activated within two years of election, the potential revenue stream gets reduced to less than the capital invested. The result would be that candidates would not splurge as much as they do today and reserve their financial arsenal for subsequent eventualities. How difficult and cumbersome is it to embed the recall provision? The answer is not very difficult or expensive. Voters should have the power to recall their representative after two years of election but prior to two years of the next election (for a standard five year term). This ensures that the recall provision is used only once. Experience shows that the provision is only selectively used so the additional expense is minimal. How difficult is it to operationalize the recall? Once everyone has a UID (Unique ID) and a linked phone (this is not far away and by 2019 both would be a reality), a digital referendum can even be initiated on phone with a simple yes/no option by any interested group of voters. If 50% plus 1 voters vote to recall their MP/MLA the Election Commission, after verifying the genuineness of the digital referendum, would initiate the re-election process. Why hasn’t this happened already? Some fears are justified. After all the majority of potential MP/MLA candidates are “arbpatis” (asset value above Rs 1 billion) valued at current market prices rather than historical or depreciated prices. With so much cash sloshing around in a poor country the assumption is that voters can be bought out by a rejected but rich candidate to force a recall referendum. This is possible. But there is nothing to stop the voters from voting for whomever they wish in the post recall election. They can thereby eat and yet have their cake. Many candidates who buy votes for cash encounter strategic behavior by voters. But the most potent barrier to recall is the combined self-interest of politicians across parties against rocking their boat. Remember how they all bandied together against the Lokpal Bill; against disqualifying convicted criminals from remaining MPs and against audit of the books of parties? When the chips are down, functional and class interest dominates, as in any other profession. Politicos hang and sink together versus the issue of empowerment of citizens. Of course voters should look before they leap and the principle of caveat emptor prevails. But “poverty is the biggest polluter” (Indira Gandhi 1970). Illiteracy, living on the razors edge and the absence of human dignity, are cousins of poverty. Can we really expect anyone in that situation to be able to rationally choose an MP without making mistakes? What about frustrated voters exercising a virtual NOTA vote by voting in a fresh face (Kejriwal?) hoping against hope that he would be better than the known devils? Should such voters continue to suffer for five long years? Everyone has the right and the obligation to change their minds. Even the dacoits of Chambal were rehabilitated because the State gave them a “second-chance”. We should apply the “second-chance” approach to electing representatives. If Toyota- the gold standard for automobile quality- can make mistakes and recall cars, voters are only human and they occasionally err. It is principally a good idea, but we have to remember that in most constituencies the winner gets less than 33% votes. In a huge number of constituencies with polarization on caste and communal lines we could see the balance 67% getting together and throwing out the elected representative, only to have him/her come back again, in the election held to fill the vacancy. A remedy could be that even if the majority want him out, if he maintains his vote share of the original election he is not to be recalled. Regarding the comparison between divorce and recall we are very lucky as voters, that we get to throw them out after 5 years. In case of a contested divorce a man applying for divorce when he is 30, will be lucky to get it before he is a doddering 80 year old.